Ian H.S. Riseley is a practising accountant near Melbourne, Australia, and principal of Ian Riseley & Co, where he advises local and international businesses. He received Australia’s AusAID Peacebuilder Award in 2002 in recognition of his work in the Democratic Republic of Timor-Leste. He also received the Order of Australia medal in 2006 for his service to the community. 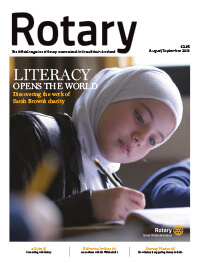 A member of the Rotary Club of Sandringham since 1978, he has served RI as treasurer, director, trustee, RI Board Executive Committee member, task force member, committee member and chair, and district governor. 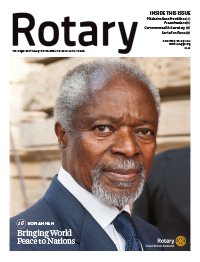 He received The Rotary Foundation’s Regional Service Award for a polio-free World and its Distinguished Service Award. 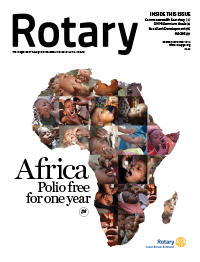 How did you hear about Rotary and when did you become a member? 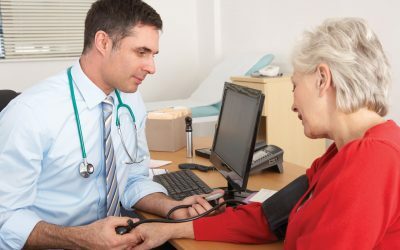 A couple of years after I launched my accounting practice, my most significant client was a private hospital close to my office. 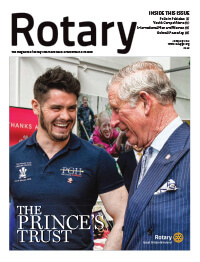 The CEO was a Rotarian, and they must have been desperate because one day they invited me to a lunchtime meeting to speak about the fascinating topic of current developments in income tax. He said they were starting a new club in Sandringham and asked if I would be interested in going to the initial meeting. I said, “Absolutely.” But I didn’t go, which was foolish. I did go to the second meeting and met the 20 or so people who had been at the first meeting. They were the business elite of Sandringham, and I thought, wow, this is quite a group. So I kept going and we chartered – which means, by the way, we started the club – in November 1978. 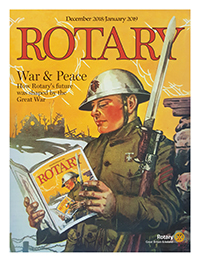 Was Rotary a good fit for you right away or did it take you time to become comfortable? I feel almost embarrassed saying this, but I felt comfortable immediately. It says something about the nature of the charter members of our club. We are talking about people who run extremely successful companies, but they were all really nice, absolutely first-rate individuals, and I wasn’t made to feel like the proprietor of a two-bit accounting practice down the road. That’s one of the delights of our organisation globally – we’re all equals. I think that’s really important. 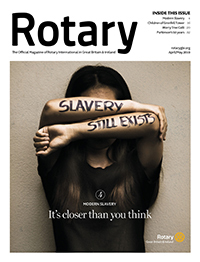 What moment made you see the importance of your involvement in Rotary? I was the third president of our club at age 34. I went to PETS (presidents-elect training), which was held in a huge auditorium. I walked in, sat down, looked over my shoulder, and there was the senior partner of the accounting firm that I had previously worked for. 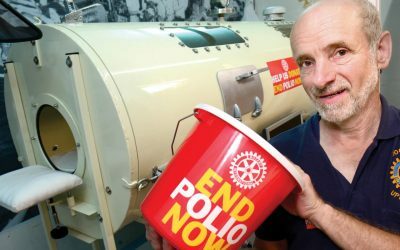 John Hepworth was renowned among Australian accountants and was there as the incoming president of the Rotary Club of Melbourne, Australia’s first club, which started in 1921. 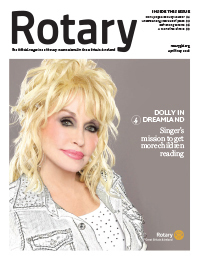 Many of the movers and shakers in the city of Melbourne are in the Rotary Club of Melbourne. 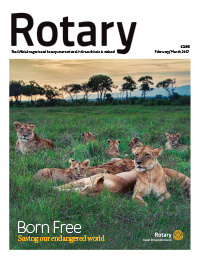 And there I was, the incoming President of the Rotary Club of Sandringham with 35 members, and we’re on a par. 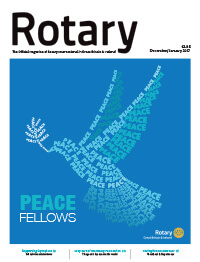 If a young person asked you why he or she should join Rotary what, in order, would you say? There are four elements. The first one is friendship. 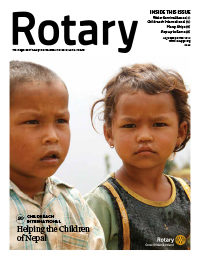 Rotary offers the opportunity to meet people in a semi-social environment and also achieve good things. The second one is personal development. I became the third president of my club at a very young age as I was starting up my accounting practice. 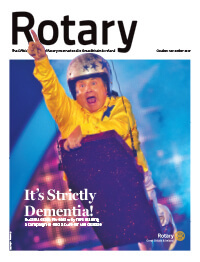 I didn’t enjoy speaking in public, but being involved in a Rotary club means that you’re encouraged – some would say forced – in a friendly environment to get experience speaking, running meetings, motivating people, all that sort of thing. 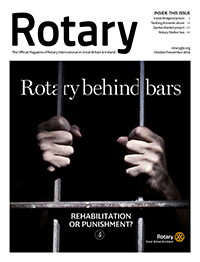 Your Rotarian colleagues are not going to fault you for a simple mistake. So you get practice, you improve, and you do it better. I’m not quite as shy anymore, so that’s a significant benefit. The third is business development. We’ve shied away from this over a period of time, and I don’t believe we should. 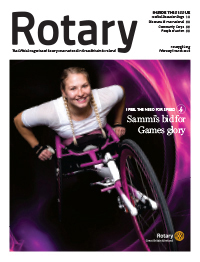 When I was invited to join the Rotary Club of Sandringham, I told Juliet, “Well, they’ve invited me to join this group, what do you know about it?” She knew about the same as me, which was not a lot, but she made the point that we’d make new friends, and hopefully some of them wouldn’t be accountants because too many of our friends were accountants, as if that could possibly be true. 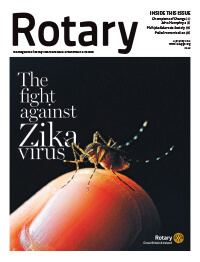 Rotary is good for business. Why should we shy away from promoting this? The fourth one, and by far the most important, is the chance to make a difference in the world. 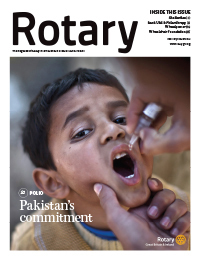 If someone asked me to eradicate polio, my ability to do this would be rather limited. But when you gather together with 1.2 million people of like mind and have people like Bill and Melinda Gates donate funds to help achieve this objective, the opportunity for success is far greater. 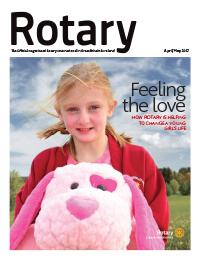 What has been your favourite job in Rotary? Bar none, it was acting as the president’s representative at a district conference. I loved that job. That’s why, when I allocate this responsibility on my behalf in 2017-18, I’ll make my selections for representatives very carefully. 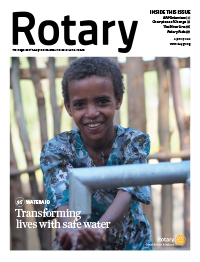 It’s a job that gives you the chance to go somewhere else in the world, or somewhere else in your own country, and understand how Rotary does all its great work. 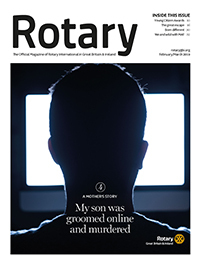 As you prepare to assume the highest office in Rotary, is it hard to have a regular conversation with your fellow club members? Who in their right mind is going to say yes? The answer is not at all. Maybe it’s because I’m Australian, and in Australia we have a really good technique for keeping people grounded. It’s called the “tall poppy syndrome.” If you get too big for your boots, my gosh, people bring you down to your rightful place in life very quickly. One of the absolute pleasures about the role that I now have is going around and meeting people and talking to them to ascertain what makes them tick. I have three words: planning, planning, and planning. This is a planning time, and I’m pleased to have the opportunity to think about ways in which I want to do things differently. 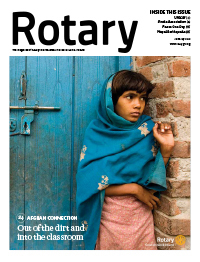 In particular, I’m looking for ideas on how Rotary can relate better to young people. I want to get to know as many of the district governors-elect for 2017-18 as possible and establish lines of communication and understanding. I mean to tell them, “No pressure, but I’m relying on each and every one of you,” and they can rely on me too. 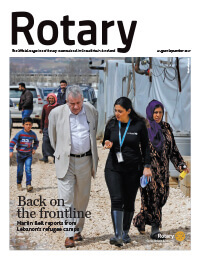 What things are working well in Rotary and what things aren’t? 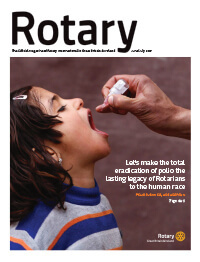 Well, the service we do for humanity, I think we do particularly well. Can we do better? Of course we can. Can we be better organised? Probably. Can we have a better relationship with the community at large? 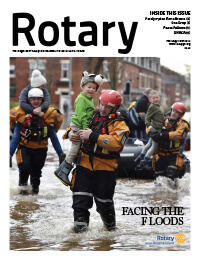 Yes, we probably can, but the actual service work that Rotary does is second to none, it’s wonderful. What else is good? Membership is growing in India, in Korea. 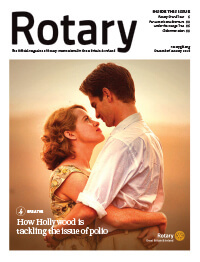 In places where there’s a developing middle class, there’s a stampede to join Rotary. The corollary of that is that membership in places like the U.S., Great Britain and Ireland, Australia, and New Zealand has fallen. 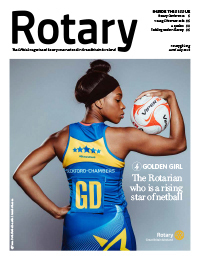 We’re not attracting enough new members and we’re not retaining them. Our demographic is ageing and that’s not good. We’re not reinventing our clubs, and that really needs to be at the forefront of our attention. 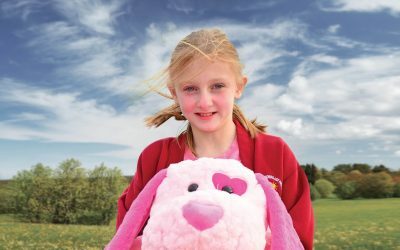 Satellite clubs (a new type of affiliate club sponsored by a traditional club) provide an avenue to involve younger people who need more flexibility. 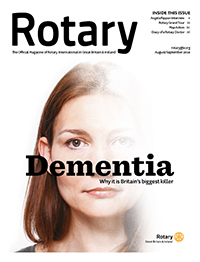 Female Rotarians are making a real difference, and we need more of them. The best clubs are those that are close to their communities. Do you have any specific suggestions for clubs? A review of the vocations of our membership is a good method to identify weaknesses and determine who to invite to join. Also I think we are missing a significant opportunity by not having more women in our clubs. There are some clubs, I’m ashamed to say, that don’t have any female members. We also need more women at the senior ranks of both the Trustees and the Board of Directors. How could a club or district coax you to visit during your tenure? Issue an invitation! 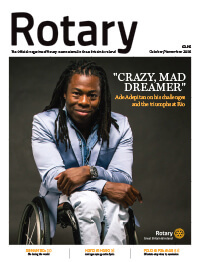 I have made it a priority to visit parts of the Rotary world that seldom see the president or president-elect, and so far I have been to parts of Canada and the Caribbean that fit this description. My calendar fills quickly, but send me an invitation, and if it can happen, I’m pleased to come.